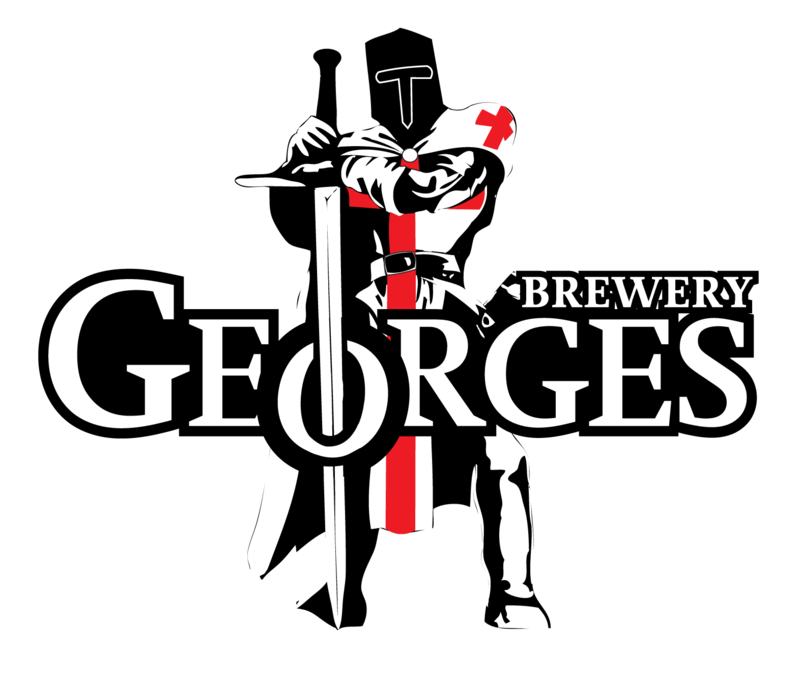 You are welcome to come visit us at George’s Brewery where we have a selection of beer on offer in various sizes. So whether you are planning a large garden party, would like a gift for someone special or just want beer for yourself then we will have what you need! Unfortunately, the Brewery is currently unable to accept payment by debit or credit card. Only cash is acceptable. Nearly all of our beers go into 500ml bottles; these are ‘Real Ale in a bottle’ so there will be a small amount of sediment in the bottom of them so pour carefully for a clear beer. However we do use a special bottling yeast which sticks to the bottom of the bottle. The ‘Georges Growler’ is a 2L brown glass container with a swing top and handle. The Georges logo is also printed largely on the side. The perfect way to enjoy draught beer at home. We also have a loyalty card scheme; you get a stamp every time you fill up your growler and the 10th fill is free! Please call us before coming if there is a particular beer you would like, as not all ales are available all of the time. Poly and Mini pins are perfect for small to medium sized parties and gatherings. They allow you to have the enjoyment of local draught beer at your garden party or in front of the TV with friends without the hassle of tapping etc. Our pins come with sediment so that they will last and stay at the best quality for longer; therefore please allow these pins to have 4-6 hours settling time. Please also call us before coming if there is a particular beer you would like, as not all ales are available all of the time. Looking for local Real Ale for your wedding day? Then this is an ideal option for you. We will deliver*, tap the cask for you and provide a cooling jacket with pump clip. The firkin is a stainless steel container which are what pubs have in their cellars; so when its set up at your party or gathering it really does look the real deal! Please note an extra charge of £12.00 is added if you require the beer to be bright (no yeast sediment). We also require a returnable deposit of £100 for the firkin, jacket and tap. Please return the cask/s no later than a week after the event. *On orders of 2 or more.